My respect for Sarah Palin has just been raised several notches first for her honesty, secondly for her sense of urgency and thirdly, when facing a tyrannical regime like Obama's, it is somewhat an act of bravery. She had a lot to say in a short amount of time. The former Governor is not happy and you get the idea she is just as unhappy with the GOP as she is with the Democrats. 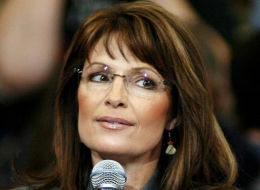 Palin is no one's fool, still, I think she is holding back. Would not be surprised at all to see her run for Senate as an Independent in 2014. "It is all coordinated. These aren't coincidences, the terms that they (Obama and friends) are using and the distractions and diversions that they're kind of shoving down our throats right now, that's pretty sad. Greta, the bottom line is something is up and what Obama is doing right now is trying to run out the clock for some reason. And they're orchestrating chaos." "They (mainstream media) are going to stick with this (Obama's "phoney" cover ups) because they are part of the problem and it's going to be to the detriment to the profession of Journalism and it will be to the detriment of a free America as we know it." "In the campaign, Great this is important for America to understand, I was not allowed to talk about things like that (Obama's radical associations and his controversial statements) because those Elitists, those who are the brainiacs in the GOP machine running John McCain's campaign at the time said that the media would eat us alive"